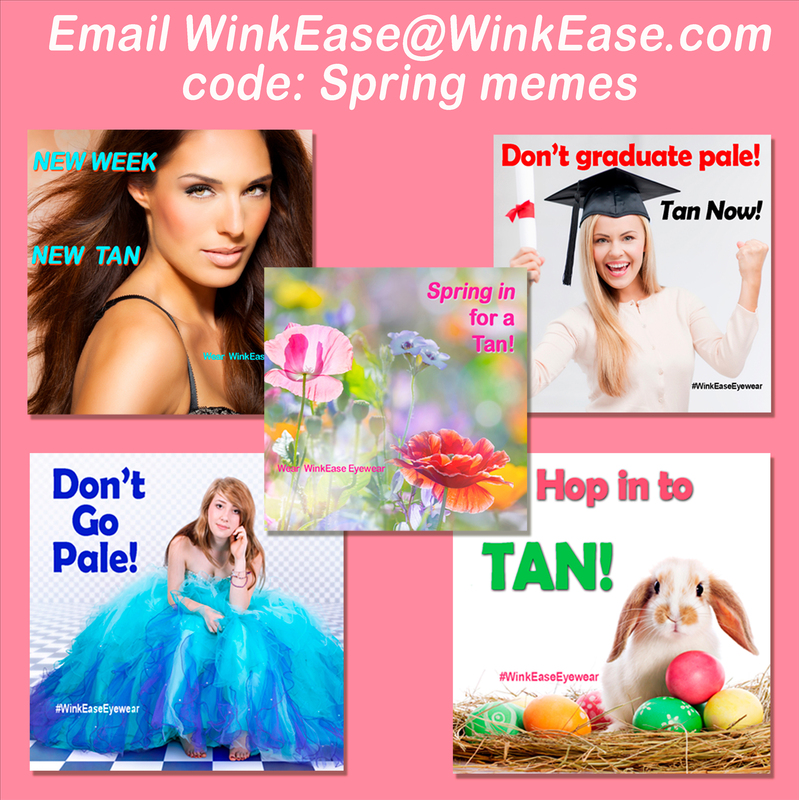 Use Social Media Tanning Memes to Increase Spring Sales! | Eye Pro, Inc. 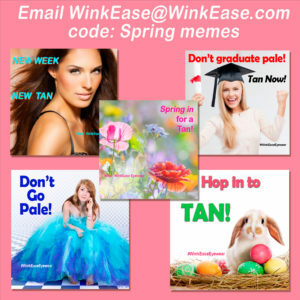 If you’re a salon and would like to receive a selection of FREE tanning memes to use for your social media marketing, simply email WinkEase@WinkEase.com with “IST memes” in the subject line. EYE PRO will send you via email your FREE tanning memes to help you reach your tanners! For more information on Ultra Gold WINK-EASE, Lash Room WINK-EASE and WINK-EASE Dark, visit WinkEase.com or contact EYE PRO at 1-800-726-8322.